The following was written in the context of what happens if that rate rise takes longer — MUCH longer — to materialize than expected? The logical conclusion in that instance would be that emerging markets have been oversold. The segment below was taken from frontura newsletter I occasionally receive. You can find out more about the group at frontura.vc. You are undoubtedly familiar with the story of ‘The Boy Who Cried Wolf’. The tale is one of Aesop’s Fables, a group of children’s stories believed to date as far back as ancient Greece and first published in the 15th century. The legend is that of a shepherd’s boy who repeatedly tricks his townsfolk into thinking that a wolf is attacking his flock of sheep. The foolish boy continues to play the trick until the townsfolk, tired of his antics, ignore him. Of course, it’s at that point that a wolf actually appears and treats itself to a lamb smorgasbord, and the boy’s cries are to no avail. Like many of wise old Aesop’s stories, this one bears an uncanny similarity to contemporary events. Take, for instance, Fed Chairwoman Janet Yellen’s repeated assertions that the Fed is likely to raise rates this year (as she stated in March, July and September). Her central claim is that inflation pressures are gradually going to rise, and thus action must be taken now. However the point of the story is that many people think she won’t raise rates and that could go on until after the U.S. Presidential elections. It remains to be seen…. The following repost is a very detailed analysis of the migrant/refugee crisis in Europe. Conflict, dictatorships, instability and religious extremism in the Middle East, in the Horn of Africa, and in Central Africa plus the siren call of a better life has resulted in Europe’s worst immigration crisis since the Second World War. Hundreds of thousands of desperate people continue to crowd onto unseaworthy boats in hopes of crossing the Mediterranean, while thousands of Syrian refugees stream along railway tracks in the Balkans in hopes of finding asylum in Europe. 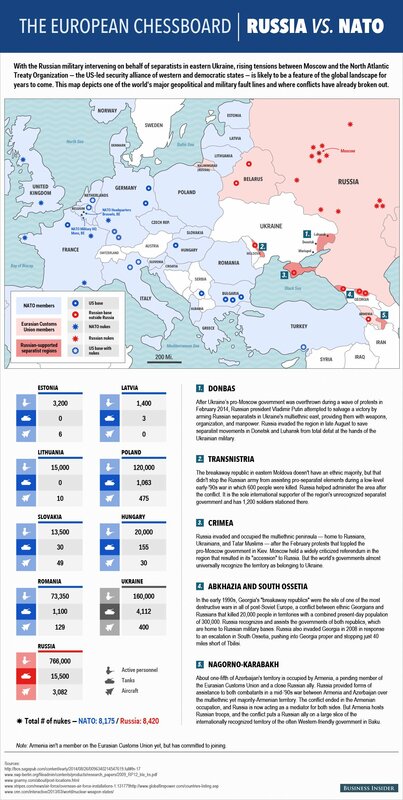 I just saw this excellent map of the Ukraine/NATO vs Russia conflict on Business Insider. If you feel a little lost and confused with conflict, the map below can help sort things out. Another cease fire agreement was reached today, let’s how long this one last. Voilà a detailed map with conflict zone, military bases, nukes and troops. 1) A quick overview of the Q3 results. 2) The abnormal trading volume (again) leading up to the results. For those who are unfamiliar with the company, I suggest you read my research report on MTY to have a feeling of what the company is about. My investment thesis hasn’t changed since then. MTY is a company that I admire and I am currently long. MTY is managed by Mr. Stanley Ma, nicknamed the “King of Food Court” in Canada. For the purpose of the article I will be referring to the Canadian symbol traded on the TMX. Dollar amounts are in Canadian $ unless mentioned otherwise. USD-CAD 1.1177$ Price of 1 USD in CAD. MTY Food Group has a 52-week low of $27.84 and a 52-week high of $34.54 and its share is currently trading for ~$29 following a 10% drop since the Q3 results were release. When you buy MTY, you’re not investing in the restaurants directly. Rather, you’re buying into a royalty stream based on a percentage of the restaurants’ sales and much more. For each plate that is sold MTY earns royalties. MTY simply collects royalties and has very low capital expenditures and financial risk. You eliminate a huge risk when you are not managing the restaurants yourself. The math is simple; more franchises => more sales =>more royalties. Because of this successful recipe, MTY receives recurring revenues and as a result it currently sits on $45 million at the end of last quarter. This growing war chest is looking for targets that will be accretive to MTY. MTY Q3 results wasn’t a homerun but remained respectable. Revenues, system sales, cash flow, number of stores and earnings were up, mostly driven by acquisitions. Q3 EBITDA was flat. On the negative side, MTY is still struggling with Same-Store-Sales (SSS), which are down -1.6% for the quarter. This is the 9th consecutive quarter of negative growth. The SSS needs to be addressed and fixed. Below is a graph of the highlights and results. On Wednesday, the trading day following the Q3 results, the stock dropped 8.43%. The Q3 results didn’t warrant a drop. MTY is trading at 18x 2015 EPS and 13X ttm EV/EBITDA. It’s not exactly cheap but it’s not extremely expensive. MTY is a free cash flow generation machine with low capex. Mr. Ma has generally reinvested all the FCF in acquisitions that generates more FCF. It’s a nice business to be in. Based on future cash flow generated, it’s a nice buy and hold company if Mr. Ma keeps his current acquisition plan going. 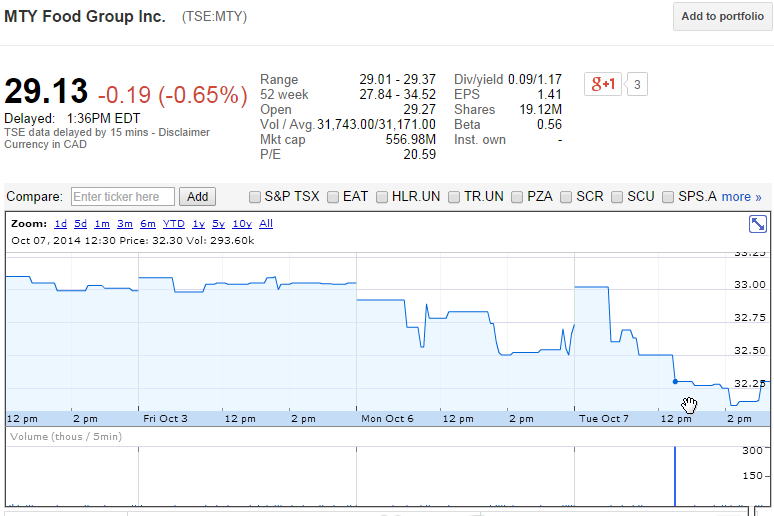 In general, MTY is a pretty sleepy stock. MTY is a ~$555 million market cap company that doesn’t make much noise. MTY is in the news (sort of) when they release their quarterly results four times a year and when they announced the occasional acquisition. That’s pretty much it. Stanley Ma is a quiet under the radar CEO and his personality is the furthest thing away from a media cheerleader. He could actually use the help a PR firm to help promote the company. A typical trading day for MTY has approximately 20,000 shares exchanging hands. This is not the first time that there’s abnormal volume leading up to a news release. I previously addressed the issue over the summer on my personal blog, MTY Food Group Leak?, right after MTY announced an acquisition. To be brief, at the time volume has exploded right before the news was released and the stock went up right after. Leaks are present in any public companies. A lot of people are involved when it comes to acquisitions and financial reporting. It’s almost impossible eliminate leaks, so it almost expected that there’s higher trading than usual before an acquisition is announced. 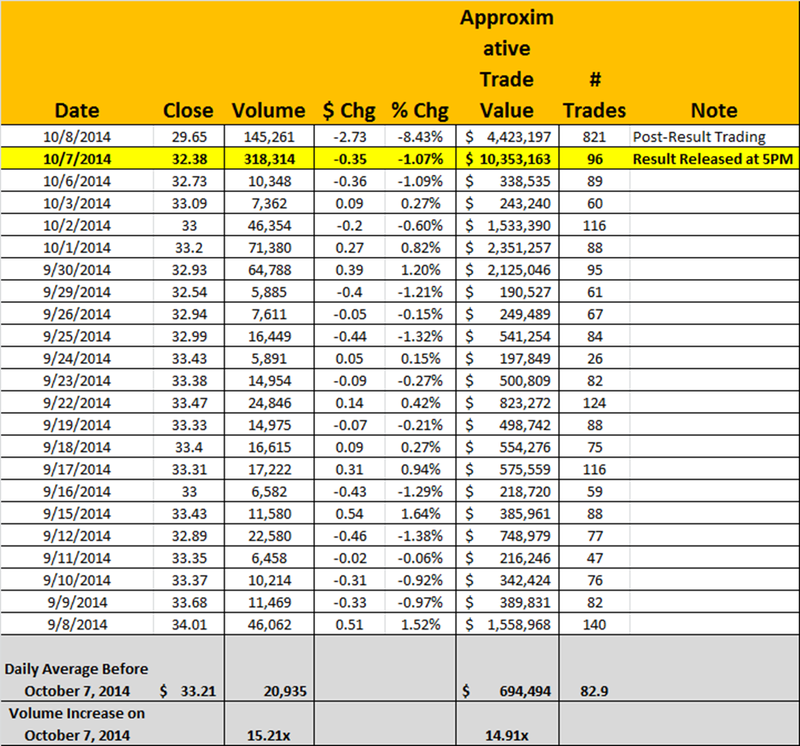 However the volume activity on October 7, 2014 caught my attention. The opposite happened then the summer event. Instead of buying before good news, there was major selling before a 10% drop the next day. What’s interesting is that MTY has never disclose the date and time they release financial statements. Except for the insider involved in the preparation of financial statements, nobody knew that there were going to be released on Tuesday October 7 after the market close at 5pm. That was not public information. Below is a 30 day table of the price history and volume of MTY. As you can see, it seems that somebody or some people found out. There are a few observations from that table above. 1- Before Q3 results were released, volume has increase 15.2x its 30 day average. We saw 318,314 shares being traded instead of average of 20,935 shares being traded daily. Remember that nobody knew that the Q3 results were released at 5pm. The number of trades is slightly higher than its 30 day average, suggesting that it was big block of shares being traded. 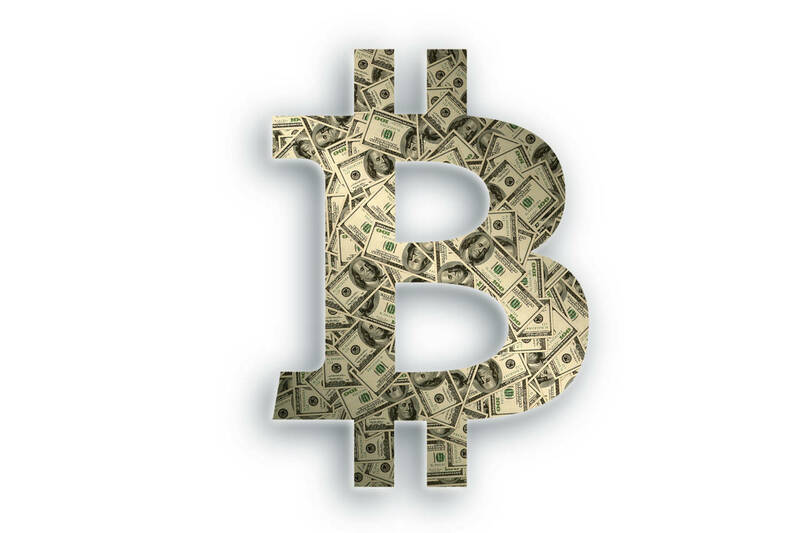 2- The approximate daily trade value was $10.3m. That’s 14.9x the daily trade value we saw over the last 30 days. 3- Before October 7, there wasn’t a trading day were volume exceeded 100,000 shares. The highest trading day of the month had 71k share exchanged. Not a single day came close to the 318k share volume on that October 7 day. Like I said, MTY is a pretty sleepy stock on normal days. This suggests that somebody with big block of shares knew that the results were coming in and dumped the shares. The last insider trading information I have is a director buying the stock by in June 2014. It doesn’t look like it’s a director or management dumping the share. The other piece of the puzzle is why somebody would sell his block when the results were fine. The dumping of shares created a bloodbath of -8.43% the next day. I pulled up a Google Finance chart. You can see below that a major block of 293.6k share was traded at noon. Looks like somebody needed some $9.4m of lunch money. Eliminating that trade, there would have been about 24,000 being traded that day, right at its daily average. Sensitive information leakage has become a daunting problem in today’s world. Leaks are present in any public companies. A lot of people are involved when it comes to acquisitions and financial reporting, making monitoring impossible. You can’t eliminate people having access to privilege information, but there must be a way to curb people taking advantage of it. Massive trading volume before an unannounced quarterly release is definitely a red flag. The main question is: Was there trading based on privileged information? It’s important to note here that I’m not making any accusations but simply stating an observation. However it’s an observation that I believe is worth investigating further. I don’t think that it’s a coincidence that there’s fifteen times the average daily volume right before a result announcement.